Only one bike climb harder in the world. Cycling Wuling Pass - the most difficult road bike climb in Asia. We can summit this magnificent mountain from the east, west and north. Climbing Wuling Pass by bike is one of the world’s greatest cycling challenges. One approach offers one of longest bike climbs in the world another the second hardest world bike climb and another the #13 ranked world climb. Wuling Pass is the highest paved pass in Taiwan at 3,275 meters/10,745’ and there are excellent views at the top. How is the weather on Wuling Pass? Since you will be gaining 8,500’ (west) and 9,000’ (east) be sure to bring warm gear because the temperature at the top will be substantially less than at the start of the climb. The road is open year round, weather permitting. It does snow during the winter season (December to February). Will we have problems with altitude climbing Wuling Pass by bike? Yes - you will have 30% less oxygen at the pass than at sea level (3% less for each 1,000’ in altitude). 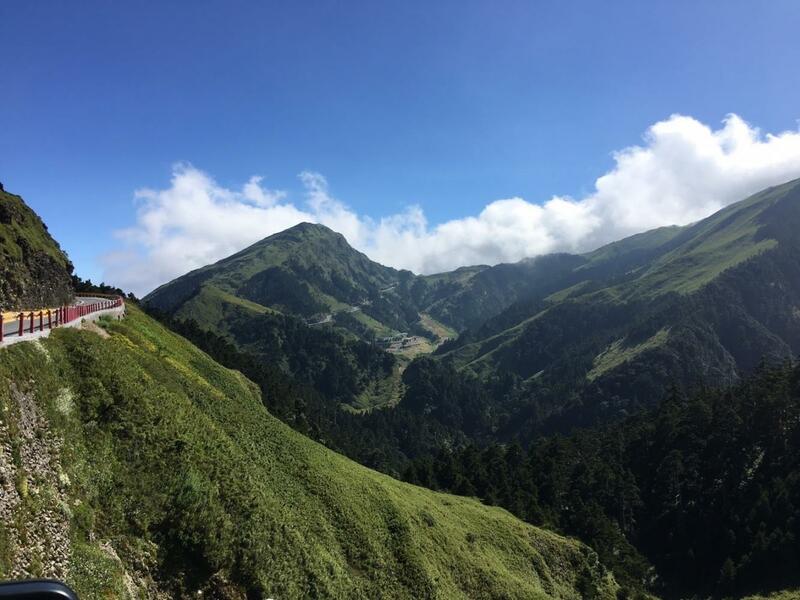 Cycling Wuling Pass from the west out of Xiulin Township in central Taiwan is a grueling 40 kilometer (24.7 mile) climb to 3,300 m (10,813’) at 6.4% average grade. With those statistics as a foundation, riding Wuling Pass from the west ranks as the 12th most difficult bike climb in the world. The extremely popular annual Taiwan KOM Challenge takes the eastern route to Wuling Pass. While the easterly cycling route is easier (world #72 v. #2 (north) and #13 (west) ) it is the 9th longest road bike climb in the entire world. This is the steepest approach of the 3 to Wuling Pass and is ranked the second hardest bike climb in the world. This climb is little known and lightly cycled according to PJAMM’s Taiwan cycling contact, Han Lee (above left). We intend to ride this climb in 2019 and until then if anyone has photos and/or a good description of the climb, please forward the information/photos to johnson@perrylaw.net. This climb dwarfs the other approaches to Wuling in average gradient 9.9% north, 6.4% west, 3.5% east and is logically much shorter: 25 km north, 40 km west, 87.5 km east. Cycling Wuling Pass North - the second most difficult bike climb in the world.